Today we bring you a special treat from the enchanted forest. 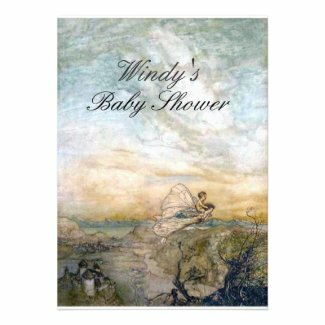 The featured fairy baby shower invitations are some of the most unique and beautiful invites I've come across in a long time. Many are done in spectacular pastel watercolors and you'll find a rainbow of choices to browse through. We recommend this as a spring or summer shower idea so that you can take advantage of the beautiful flowers in bloom in the garden but this theme could be used all year long. Each of the following high quality, reasonably priced invitations was created by a talented artist who keeps shop at Zazzle. Click on your favorites to learn more, find pricing, see a larger image or to purchase yours today. Rectangular invitations are sized 5" x 7" and the unique squares measure 5.25" x 5.25". Square invites require additional postage when mailing. All come with a white envelope. There are many more to choose from. 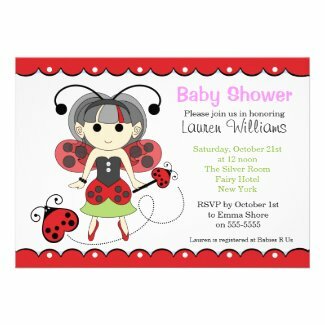 Visit Fairy Baby Shower Invitations to see them all. I can't think of a more beautiful way to celebrate the birth of an expected child than with a fairy-themed baby shower... especially if the mommy-to-be is crazy for fairies. It's a fairly uncommon baby shower theme idea which makes it all the more appealing and fun. I found a beautifully pinned Pinterest board featuring ideas you might like. You can visit it HERE. Keeping everything light and airy with a casual tone. Butterfly and Fairy Wing decorations. Holding the shower outdoors in a beautiful garden. A soft-colored candy buffet table with the expected child's gender in mind. Lovely pastel colored cupcakes for dessert. Please feel free to share your thoughts, comments or ideas in the comments section. Special thanks to the photographers who made their work (featured above) available through a Creative Commons license. Click each photo to see it in its original location.